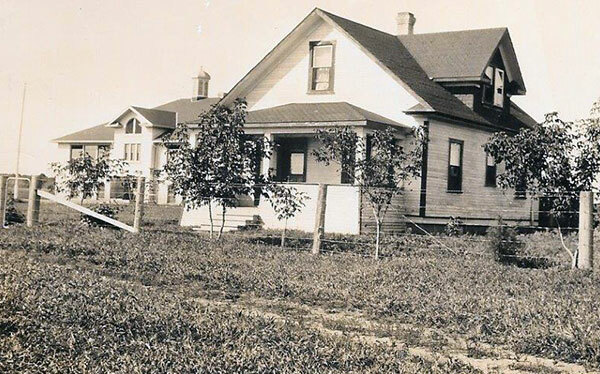 The Graysville School District was organized formally in March 1909, and a schoolhouse was built in the village of Graysville in the Rural Municipality of Dufferin. 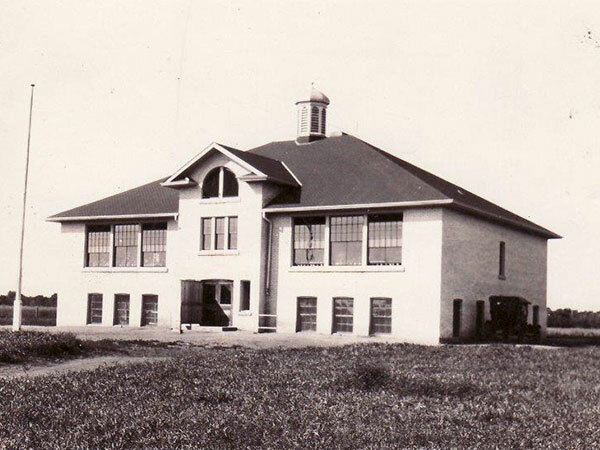 It operated for nine years until it merged with several schools from the surrounding district to form the Graysville Consolidated School District: Lintrathen School No. 1118, Orr School No. 343, Ravenswood School No. 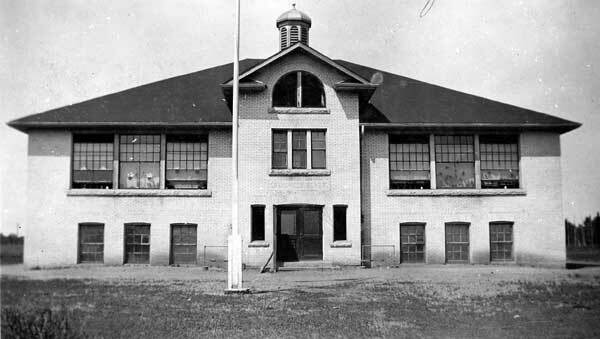 437, Stephenfield Consolidated School No. 2048, and Tobacco Creek School No. 808. Erection of the present brick building began in late 1919 on a design by architects Tuttle and Reid, and opened in February 1920. 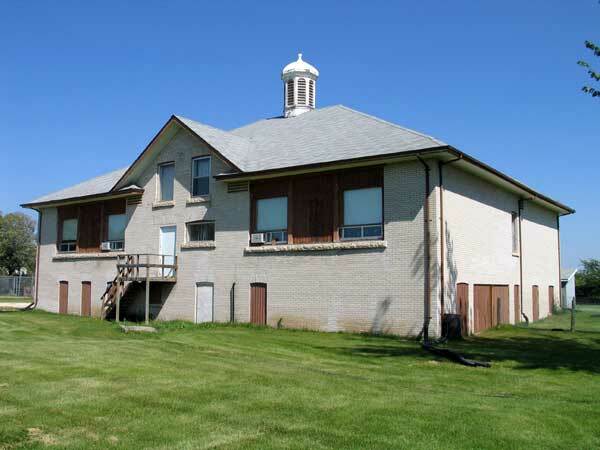 Eventually becoming part of Prairie Rose School Division, the school closed closed in September 2010 due to declining student enrolment and its building was sold to a company that planned to use it as a seed shipping facility. 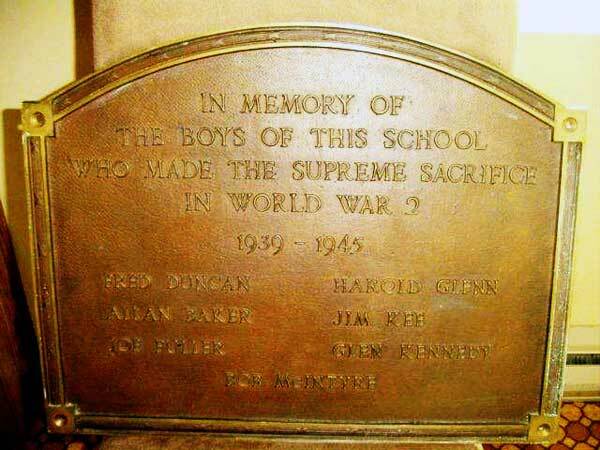 A bronze plaque commemorating former students killed during the Second World War, that had been displayed inside the school, was removed and installed at the Carman Legion. The other teachers of Graysville School were Mamie Craik (1920), Marion Cummings (1920-1921), Olive Jackson (1920-1921), Hattie Corrigal (1921-1922), Viola Bailey (1921), Inga Turgeson (1922), Nellie Morrison (1923-1931), Kathleen Walmsley (1922-1923), Eleanor Collier (1923-1929), May Nevin (1923-1928), Edith Deacon (1928-1929), Laura Fraser (1929-1930), Leila Fraser (1929-1930), Eva Cram (1930-1931), Beatrice Shunk (1930-1931), Helen Ball (1931-1935), Florence Kuebler (1931-1933), Gladys Smith (1933-1934), Esther Hooper (1934-1939), Linnie Wilson (1935-1939), Bernice Wright (1939), Morley Horton (1939-1941), Mary Rankin (1940-1941), Annie Sprott (1941), Evelyn Russell (1941), Muriel Cook (1942), Dora F. Ritchie (1942), Marjorie Barclay (1942-1944), Nellie Bowes (1942-1943), Ida Fehr (1943-1944), Inez Abbott (1944-1948), Rosa Johnson (1945-1946), Ruby Gray (1946-1973), Dorothy Allen (1947-1948), Doreen Alvis (1948-1950), Harry Reimer (1948-1949), Don Eby (1949-1950), Gladys Bell (1950-1952), William Cook (1950-1952), Richard Paine (1952-1954), Leonard Harvey Goldsborough (1953-1956), Margaret Pollock (1954-1957), Robert Hobbs (1956-1957), Lillian Hirst (1957-1958), Dorothy Irene Madill Hudson (1957-1960, 1962-1963), Shirley Knight (1958-1959), Mr. Urquhart (1959), Bev Robertson (1960), Mrs. B. Linton (1960), Myrtle Refvik (1960-1961), Jim Refvik (1960-1961), Joan McIntosh (1961-1965, 1966-1989), Bernard Stobbe (1962), G. Scott (1962), John W. Gross (1962-1963), Bev Robertson (1962), Hardy Velie (1963-1966), Bev Stow (1963), Mary Hanischuk (1964-1966), Dave Friesen (1964-1966), Ramsay Gopaul (1964-1966), Harry Thiessen (1966), Natalie Watt (1966-1974), Margaret Atkins (1973-1976), Carrol Bruce (1974-1995), Doreen Ferris (1976-1977), Georgina McCullough (1977-1988), Lillian Middleton (1995-1996), Colleen Wareham (1996-1997), Alice Elias (1997-2000), Joanne Mont (1997-2000), Coreen Hart (2000-2002), Karen Friesen Dyck (2000-2003), Megan Pollard (2002-2004), Sherry Zacharias (2002-2003, 2005-2008), Lisa Pinkerton Baschuk (2003-2010), Pat Hamm (2004-2005), and Theresa Knox (2010). GR8461, A0233, C131-2, page 127. Graysville: A Manitoba School and its Community, compiled by edited by the Graysville School Reunion Planning Committee, June 2011. We thank Ethel Hook, Nedra and Bob Burnett, and Laura Matychuk for providing additional information used here.